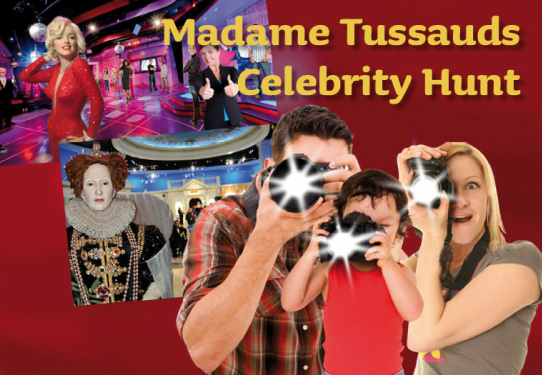 Concept desing for a new and different interactive Madame Tussauds experience: Spot the Celebrity! Compete against other riders in a real 4D theatre. Who can recognise the most famous people from past and present, take their picture and then win the final quiz? Get points for every celebrity picture you take – but watch out! Take a picture of a NOBODY and you lose points!